Our joy at making it to Livingstone, named after the famous Dr Livingstone, the first European explorer of this region of Africa, was palpable as we pulled in to town. Finally, we had made it to the halfway-point, from here we were headed south to countries which would be distinct from those we had seen in East Africa. 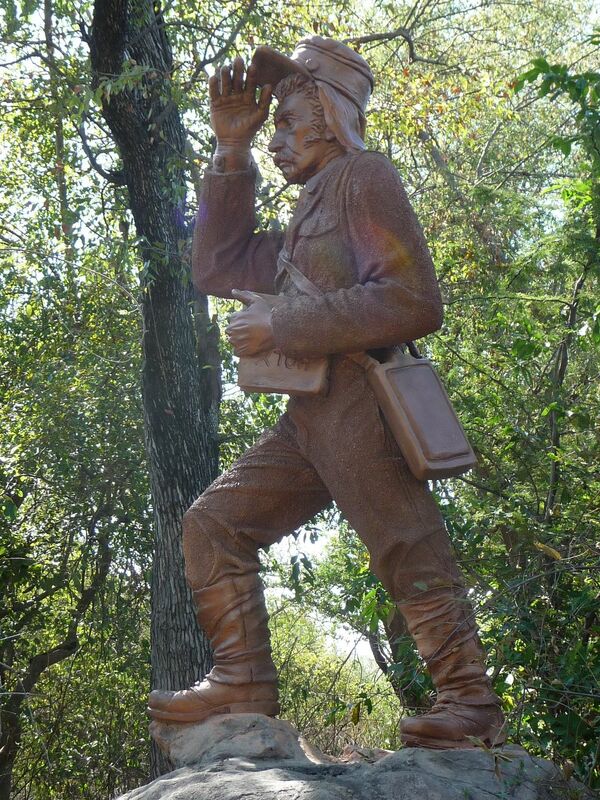 From Livingstone onwards, wealthy tourists from Europe and America would become a more familiar sight: people flying in to luxury lodges in Cessnas, elderly tourists trying to check off some of the more adventurous spots on the globe before they get too old. We would soon be trading the bush and hills for the immense flatness of Botswana and the monumental sand dunes of Namibia. 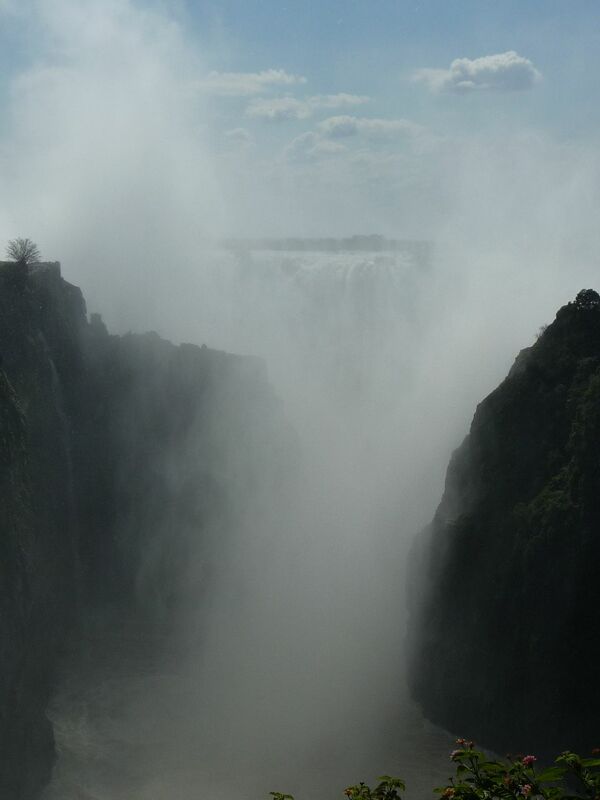 But first it was time to see one of the great natural wonders of the world, Victoria Falls. Even the most casual observer could see that life was tough for the average Zambian. Although the deceptively neat uniform of hand-me-downs, which the First World continues to clothe Africans in, makes Zambians (and most of the Africans we have encountered so far) seem wealthier than they are, you don’t need to look far to find evidence that many of those who live outside the capital, Lusaka, or the tourist magnet of Livingstone are struggling. Like Malawi, Zambia seemed to be suffering from runaway inflation in food prices. Going to thesupermarket in Lusaka or Livingstone is enough to give you a heart attack as you try to make sense of the number of zeros forming the suffix to every price. It gave us pause when we saw sausages at $7 for a pack of 6, minced beef at $18 per kg and apples at $4.5 per kg. Cleary many of these prices were out of the reach of the average Lusakan or Livingstonian, and even if they were in reach, they were likely to be an occasional treat. No wonder our driver, Henry, was so convinced meat must be the essential component of every meal. As a Kenyan with first hand experience, he knew that if you are at the wrong end of the social spectrum, procuring meat in any decent quantity was almost impossible. Conversely, if you wanted anything imported with little or no nutritional value (and immense tooth decay potential) like Milo, chocolate bars or crisps (potato chips), you virtually needed to come up with the equivalent of the GDP of a small banana republic in Kwacha, the national currency. 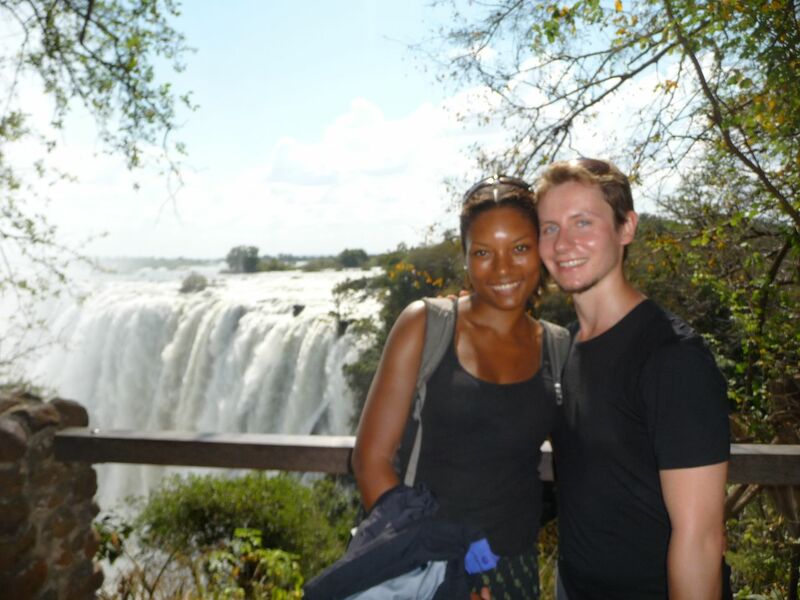 Anyway, I have digressed enough, so before this turns into an economic thesis on Zambia, I should get back to the place in the title which probably drew you to this post: Victoria Falls. It probably sounds clichéd, but nothing can prepare you for your first glimpse of the mighty ‘Smoke that Thunders’, as it is known to locals. 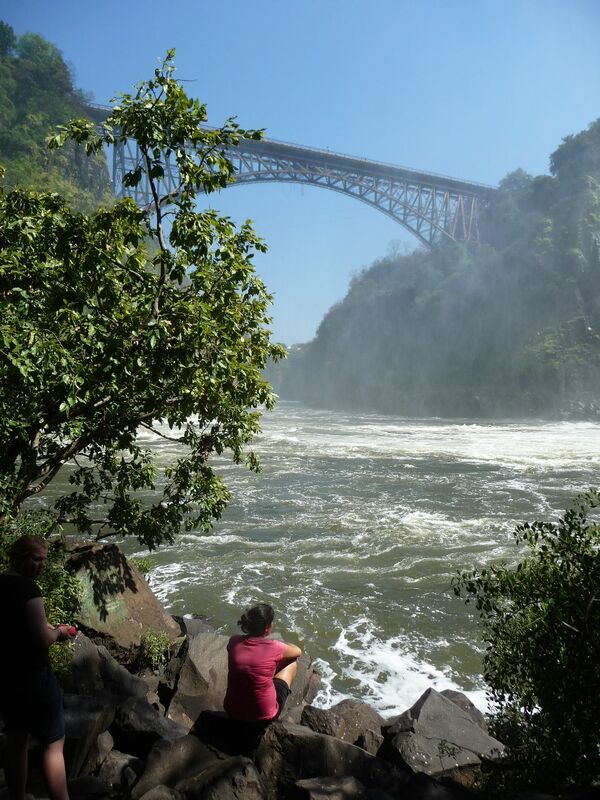 At 1.7 km wide and plunging 107 m into the Zambezi Gorge, the 545 million litres of water which fall each minute create a truly thunderous sound and send a fine spray into the air which can be felt whenever the wind blows the wrong way. 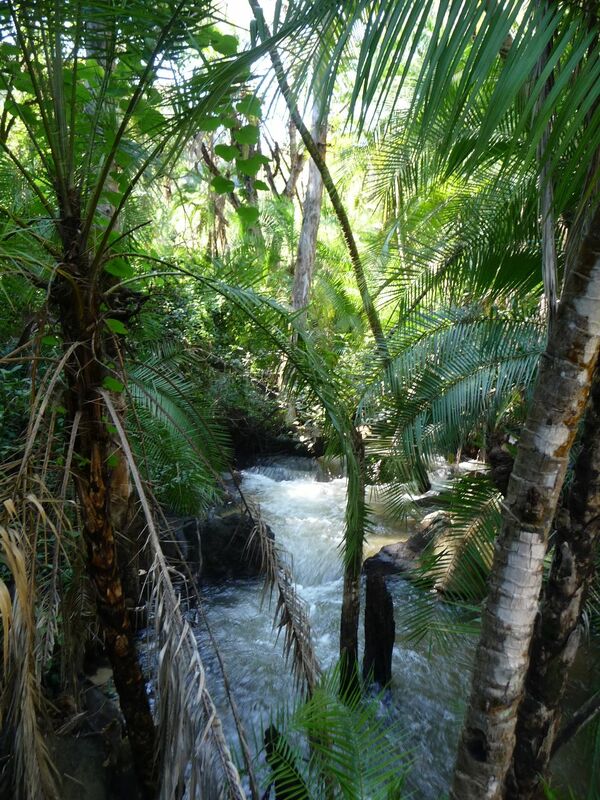 Providing succour to the surrounding rainforest which grows around the falls, the spray can suddenly, and without warning, give you the impression that you are caught in an intense rain shower. 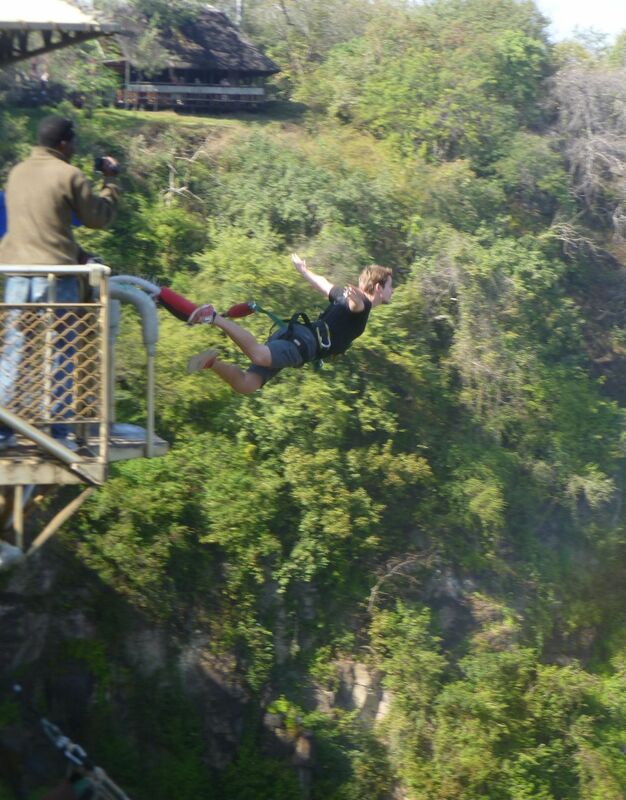 There are a huge number of activities to engage in at Victoria Falls including bungee jumping, booze cruises, scenic flights and lion walks. On our first night in Livingstone we went on a wonderful sunset cruise during which we saw a hippo or two and tried and failed to drink the bar dry while devouring plates of barbecued meat. The drunken inclination to swim in the river was quickly scotched by the knowledge that crocodiles were abundant. 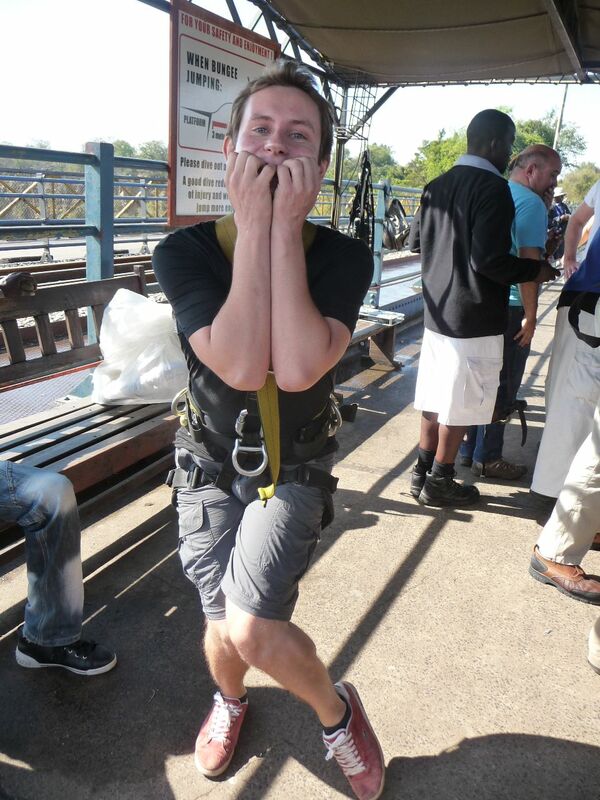 Martin wanted to get a bit more adventurous, so he decided to do his 5th bungee jump. 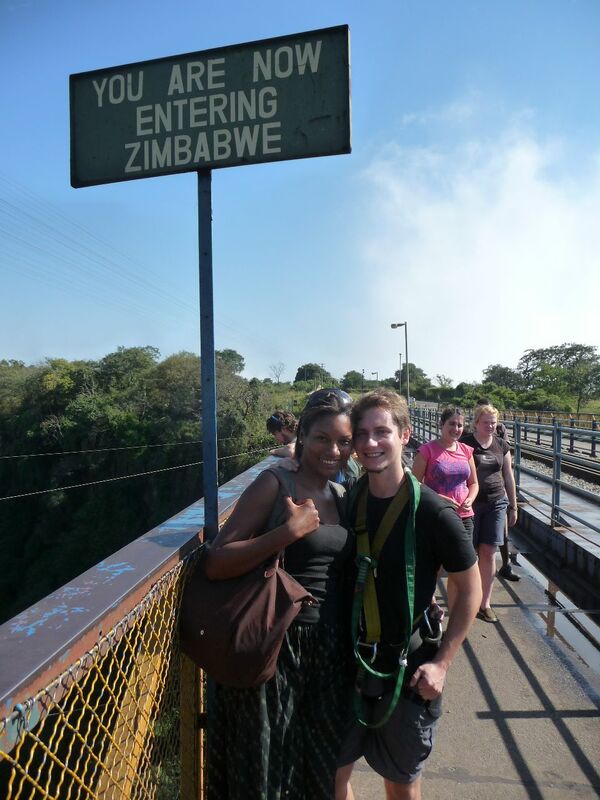 Although we saw a married couple who must have been in their 60s doing a joint gorge swing and twin sisters who might have been pushing 70 doing a tandem swing, I was not going to be induced, for love or money, to jump off the bridge which connects Zambia and Zimbabwe! 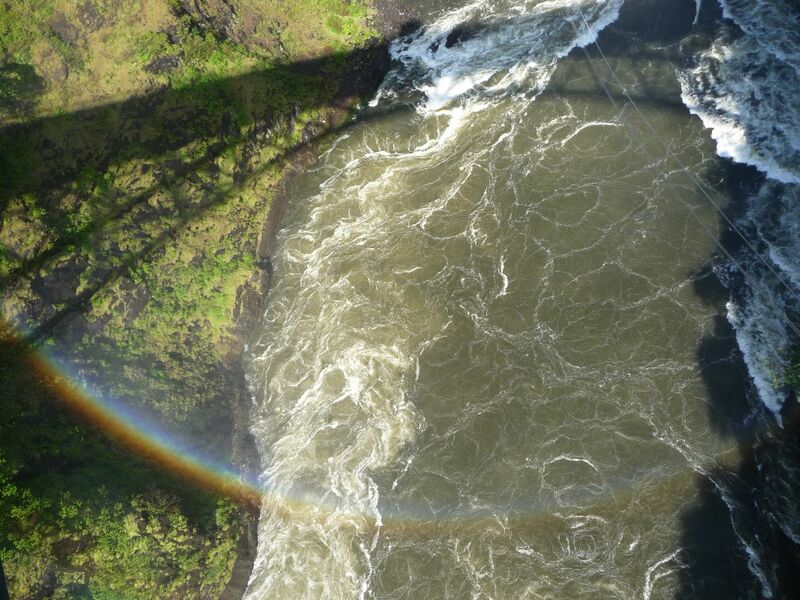 As you can see from the photo below, he did a great job of launching himself into the air like a bird, swooping down into the gorge with its beautiful double rainbow below. Unfortunately, he came away with a souvenir rope burn which is still not completely healed a fortnight later! This entry was posted on June 19, 2011 by mnmworldtrip. It was filed under Uncategorized and was tagged with Africa, Zambia.